This is a fabulous location for walkers, bird watchers and beach lovers! Cliff Cottage self catering holiday accommodation uniquely situated almost on the beach of a pretty little cove, protected and safe for swimming. The National Park coast path runs past the front door. 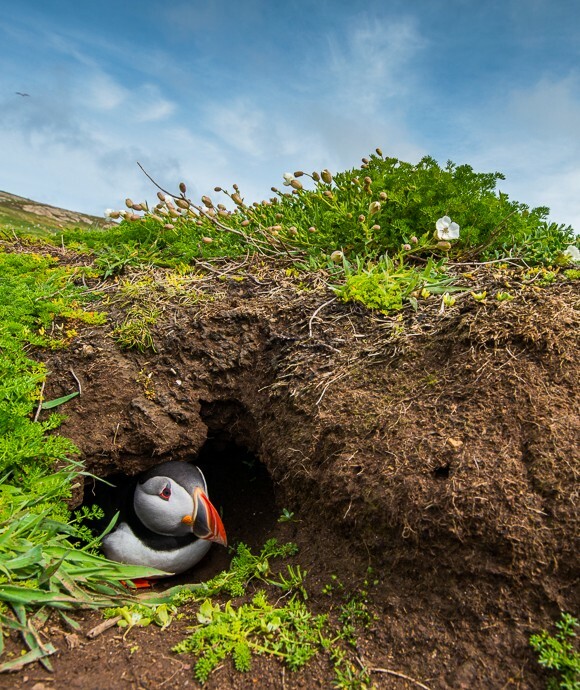 Skomer Island boat trips leave Martin’s Haven just ten minutes away. Puffin Shuttle runs a coastal bus service only a short walk from the cottage giving access to many coastal villages and beaches. The accommodation sleeps up to seven, and is ideally suited to couples. Most windows look out onto the beach. The sound of sea and tide is very close. If you want to write or paint this offers peaceful inspirational surroundings. The Pembrokeshire Coast National Park footpath skirts the farm and we are also ideally located for Skomer Island, seals and bird watching. Delightful coves and sandy beaches, pretty harbours and galleries, coffee shops, excellent restaurants and local pubs are all close by.